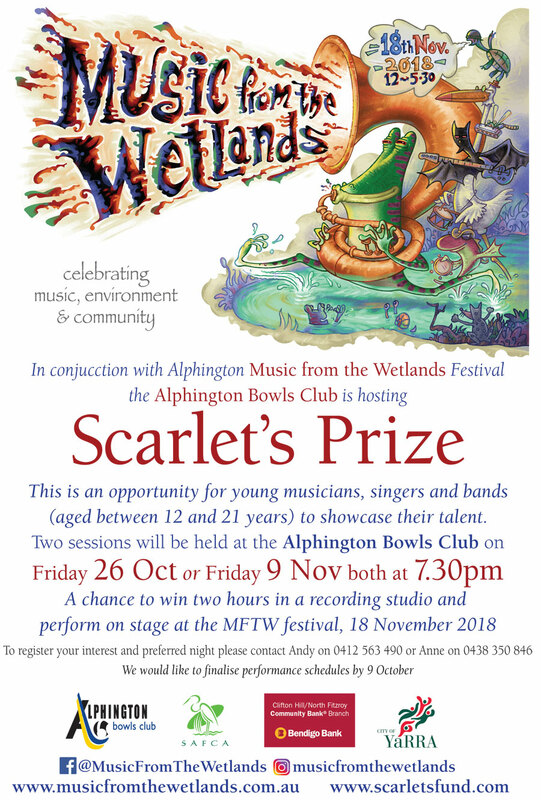 Thanks to Alphington for coming out for a FANTASTIC Scarlet's Prize "talent quest" at the Alphington Bowls Club this evening. 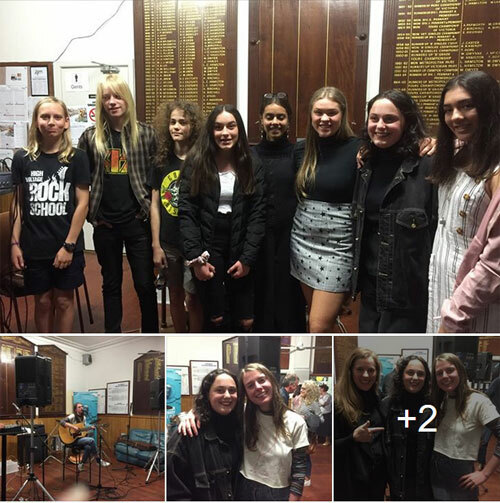 We were treated with performances by a sensational array of young talent - not to mention Alphington's own Angie McMahon closing the night with a song! Congratulations to all for terrific performances - Rage of Consent - Xavier Thomas, Tobias Halfpenny and Zac Creasy; Sophie Uwland and Lila Popillo; Eloise Roberts; and Lucinda Briant. No-one envied the task of the judges - Jenny Farrer from the Clifton Hill / North Fitzroy Community Bank, Kathryn Clements and Angie McMahon - who praised all the acts and thanked them for such a high quality evening's entertainment. 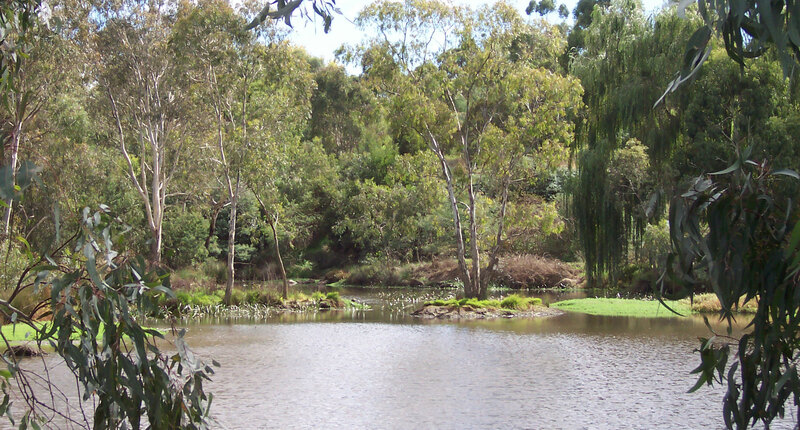 The prize of a two hour studio recording session and the opportunity to sing at Music From The Wetlands next weekend was awarded to LUCINDA BRIANT. Very well deserved and we can't wait to hear Lucinda on the big stage next weekend. BUT, it didn't end there - Jenny from the Community Bank then announced that the judges had been so impressed with all the acts, that the Community Bank offered a studio recording session for each of them! Huge thanks to the Bank for their continuing support of the Festival and this evening in particular, Scarlet's Prize!